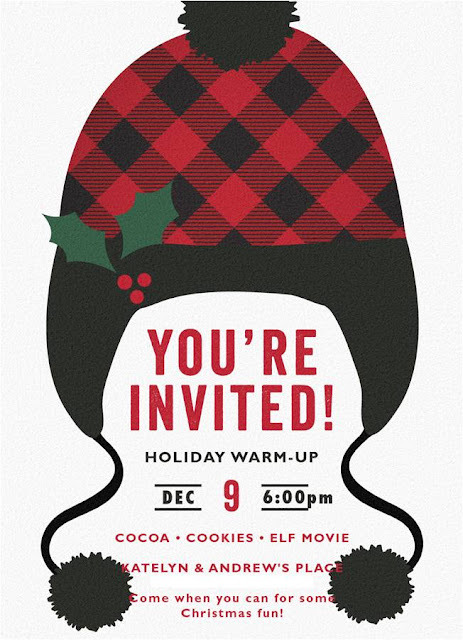 Holiday Warm-up with Cocoa, Cookies and Buddy the Elf! with the kiddos hosting a Holiday Warm-Up! Invite a few kids over to watch a festive movie that's kid appropriate, we chose Elf, I think most kids would love it! Serve warm cocoa with all the fixings, Christmas cookies and a few light snacks. Gather some pillows and blankets, spread all over the floor and let the kids get cozy while they watch the movie. 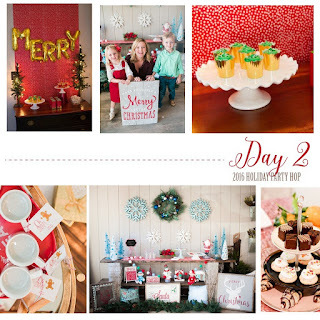 To let everyone know about the details, I chose to send an invite by Minted. They have the cutest e-vites and they are free right now! Pick your favorite invite, they allow you to personalize it and then send away! I love anything buffalo check right now, so this invite was perfect! I wanted this to be casual, so I made sure guests knew to come in their pjs, including the mommas! It was so much fun to relax and have a fun night in during this busy holiday season. My kids couldn't resist wearing their cute Christmas pjs. Decorations were festive, yet simple, my color palette was a mix of reds, green, white and black. 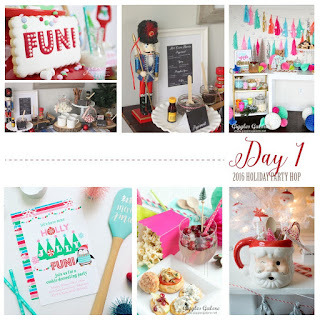 I pulled items from around the house to create a fun table for the sweets. For snacks and drinks I kept it pretty simple, snack mix for the kids during the movie, a few sweet goodies and a hot cocoa bar. All the guests loved the hot cocoa bar! I am not much of a coffee girl, so this was right up my alley! I found the cutest disposable cups with lids at Hobby Lobby. Perfect for sipping on cocoa while watching the movie. This darling chalkboard menu sign was perfect for the hot cocoa bar, it is a free printable I found at Twelve O Eight blog. 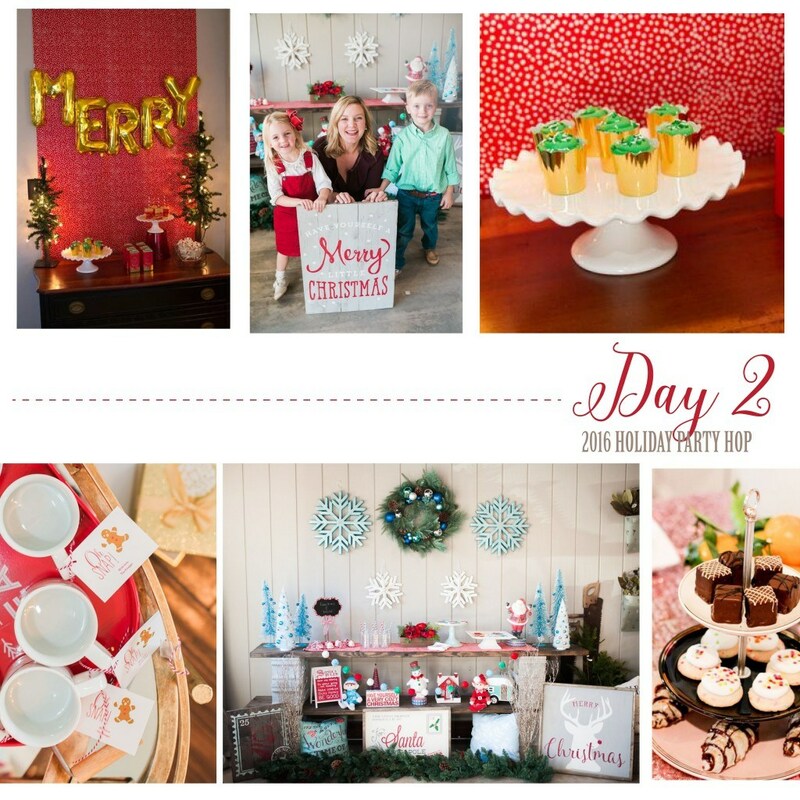 A cute banner and a few bottle brush trees were all that was needed for the cocoa bar. I found this checkered banner by Eylander Sign Co. and had to have it! The kids had fun adding their own toppings to their cocoa, with candy canes, sprinkles, marshmallows and lots of whipped cream! One of my favorite pieces for this setup, was this gorgeous tassel banner that fit the backdrop perfectly! If I would have been thinking clearly, I would have remembered that sugaring kids up and then expecting them to sit and watch a movie is highly unlikely. Lets just say that I think everyone enjoyed the sweets table, especially the kids! I found this darling print on Pinterest with no information about it. I loved it and knew it would make a perfect addition. After much research I finally found it to be a Lily & Val print, they are so talented! Check out their site, but forewarning you will get lost for hours! Get your chalkboard print here for your Hot Cocoa Bar. I baked some sugar cookies the morning of the party and let my kids decorate. They loved getting involved and showing off their masterpieces to their friends. As you can see my daughter loves her sprinkles! 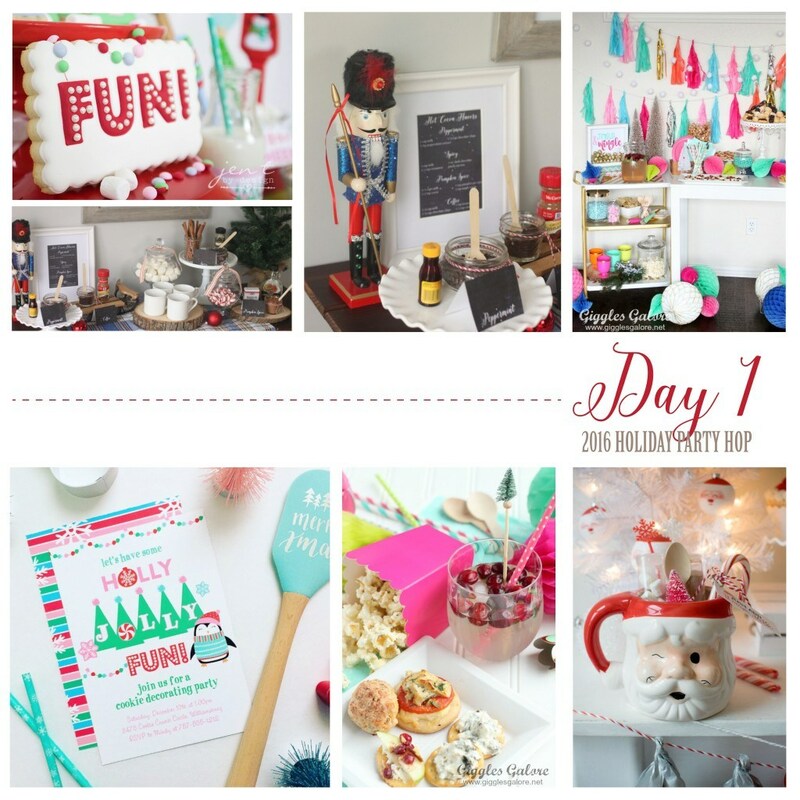 If you are looking for a fun way to celebrate the season with friends, plan a night in! Grab your favorite holiday movie, a few snacks and some hot cocoa. Cozy up and enjoy these fun moments of the season! 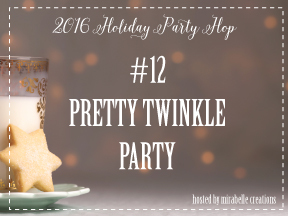 To continue the Holiday Party Hop fun, make sure to check out my dear friend Pretty Twinkle Party on Thursday morning for more holiday inspiration! Checkered Banner: Eylander Sign Co. This is so beautiful! Love all the details you did an amazing job! Thank you Goldie, that is so sweet. Such fun anf fabulous party! !